Bolivia is set to receive 6 Chinese-made combat aircraft to be used to fight drug trafficking, the head of the Bolivian Air Force said on Tuesday. 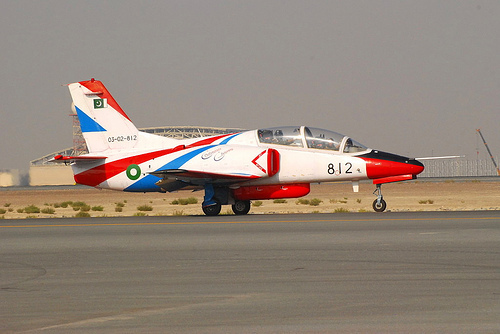 General Tito Gandarilla, the Air Force commander, told local journalists that the K-8 Karakorum jets are scheduled to be delivered in April, at a cost of US $ 58 million (S $ 74.5 million). The aircraft, bought through a loan from China, will be the first of their kind for Bolivia, which currently has only training and freight aircraft. Gen Gandarilla explained that the jets 'have a lifespan of 15 to 20 years' and have the ability to intercept illegal crafts that 'in Bolivian airspace without authorisation'. The aircraft will be used mainly around Cochabamba in central Bolivia, where there is heavy production of coca plants used to make cocaine. The Bolivian government also plans to buy 10 Russian-built cargo helicopters for use by the police. In 2008, President Evo Morales ordered the US Drug Enforcement Administration to leave after accusing it of having had a hand in political unrest and drug-trafficking in Bolivia. The US State Department has identified Bolivia as a major drug-transit or drug-producing country.